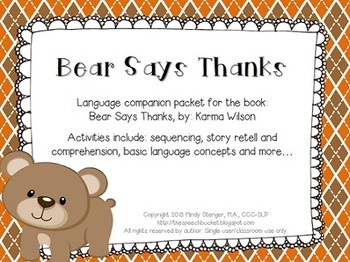 This packet was created as a companion to the book: Bear Says Thanks, by: Karma Wilson. 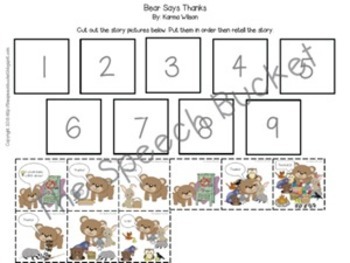 Included in this packet are activities that target sequencing, story retell and comprehension, basic language concepts, following directions, written expression, and more. 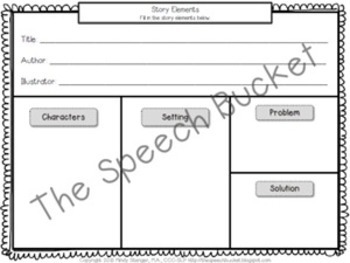 The activities in this packet were created by Mindy Stenger, M.A., CCC-SLP (The Speech Bucket).